Red Cherry Individual lashes are a must-have accessory to add glamorous feminine touch and volume to your natural lashes. Lash clusters are the perfect makeup tool for versatile customization to enhance and fill in sparce spots along the lash line. Easily and quick to add and build length, volume, and add make eyes pop! 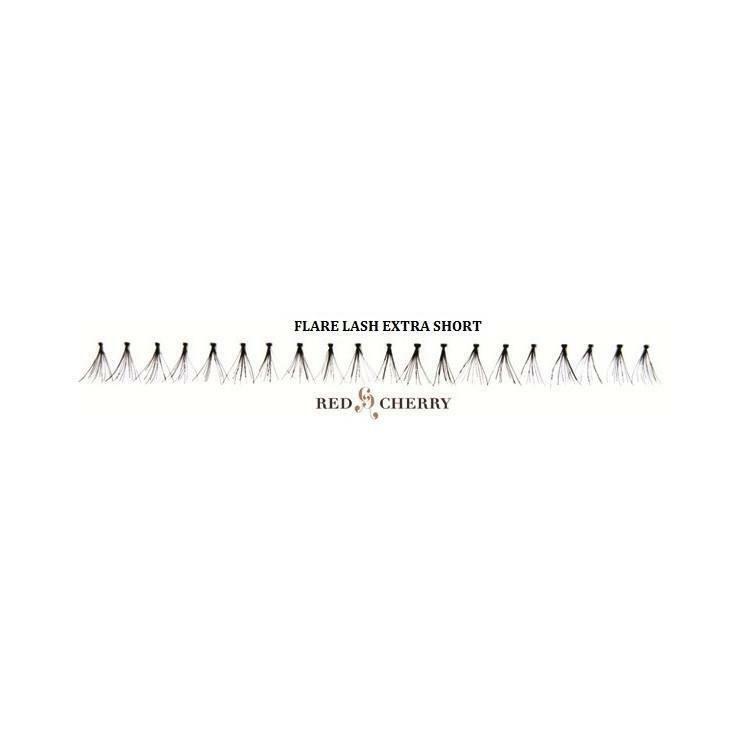 You can achieve different effects with Red Cherry Black Flare Individual Eyelashes depending on how many you apply and which lengths you use. Apply two to six of these lightweight medium (or mix of medium and long) lash clusters to the outer corners of your natural eyelash to create a voluminous finish without weighing lashes down. I have a hard time applying strip lashes so I got the FLARE MEDIUM lashes and it was much simpler to put on than I thought. I love how big they made my eyes appear they flare so nice I love these! They looked very natural! I am very happy with my purchase! RECOMMEND! Good quality. Great stocking stuffers. beautiful flaired eyelashes. Very glamorous and easy to apply. I recommend to anyone looking to add volume. Very Very Glad I found these. I have been using single strip lashes but never liked that they felt too heavy with these im able to fit in between my lashes for a full volume without the feeling of extra weight and no strip. They were delivered right away, such great service. very happy with my purchases. great price! Im glad i found the medium flare for such a good price. I use these for the outer part of my eyes and the shorter ones for the inner part. they work great . wonderful brand.